If you have lost your DVR remote control, you might as well buy a new one as the cable or satellite company will make you rent one. They can charge upwards of $5 US dollars a month just for the DVR remote. If you lost your remote they will make you pay for the old one and rent a new one. Avoid the charges and buy one for around $10 to $20 US dollars. 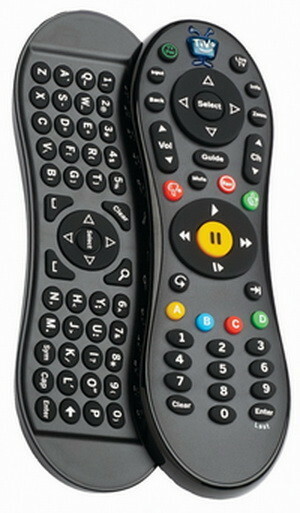 Here are some of the most popular DVR replacement remotes for all cable and satellite TV companies. They are all below and available to buy online most with free shipping. 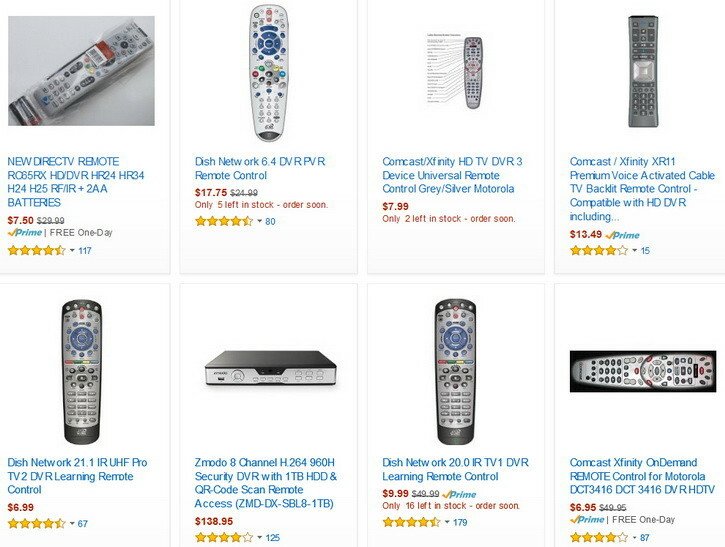 So if you lost your remote for Cox, Comcast, Directv, Dish or other TV provider company, replacement remotes are below, click on one to see pricing. Are we forgetting any DVR universal remotes for cable or satellite? 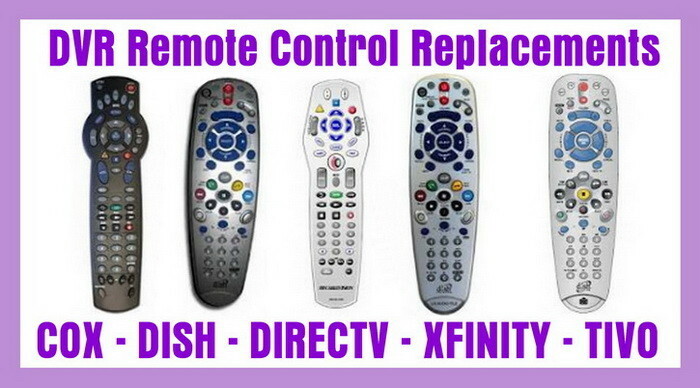 Please leave a comment below and we will help you find a replacement remote if needed. Are there remote codes to control satellite receivers/pvrs with a universal remote? I have a RCA universal remote, and would like to control my Bell/Dish Network 9242 PVR Receiver. Try checking the Bell Remote Programming page for more detailed info.